How many more times must we hear another lousy song about love? The genre is wildly over-represented, so let me suggest an alternative for your Spotify playlist: songs about Microsoft. Love it or leave it, your PC is what you actually gaze at—often soulfully—for hours every day. So it stands to reason that men and women actually write songs about Microsoft. They do. There are tons! And some of them are actually good. From the blues to country to hop-hop to punk, we’ve collected the best songs about Microsoft. You’ll need a subscription for Spotify to listen to the embedded tracks below, but even a free subscription will do. I emphatically suggest you opt in, because you’ll be surprised by how good some of these are. Just use headphones when listening to these around the kids—many include explicit lyrics. Let’s kick off Microsoft’s greatest hits with a little slice of Americana. Andy Browning sings from the heart (and the heartland) about how it just isn’t working out any more. Unfortunately, you can’t always reboot love—sometimes you’ve just got to power it off. A sweet ballad about longing, distant love, and the power of VOIP leads us into this song about Microsoft’s messaging/voice/video solution. It’s unclear whether Taiwanese actress and singer Cynthia Wang, who has a number of albums to her credit, is the talent behind this homage to Skype. But we don’t care. We’ll still accept her call. 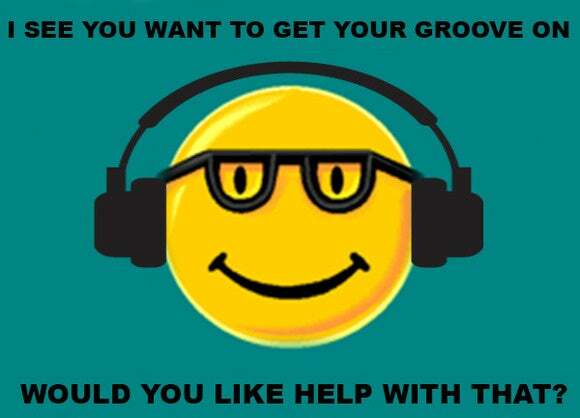 I see you want to get your groove on—would you like help with that? When Microsoft debuted Bob 20 years ago, who could imagine that the animated smiley face would worm its way into our hearts as a legitimate computing icon? The A La Mode delivers a funky hook that demands that you get off your office chair and onto the dance floor. On those steamy summer nights down in the bayou, so far away from your baby, what’s the only relief? Skype, baby, Skype. One of the best tracks in our list of hits comes from Urban Gumbo, which delivers a downright dirty blues number. This one’s so very good, you’ll want to share it. Online. Via... yeah, you know. When Windows gets in your grill just one too many times, you just gotta push back. Willy and Marx immediately start name-checking Vista, Macs, and The Lord of the Rings’ Smeagol in this hip-hop anthem that’ll have you nodding your head. JK-47’s chill collection of beats is held together by a nice groove that slides through a number of familiar samples, including AOL’s “You Got Mail” and startup sounds of Windows past. Take a moment and swim in the aural current. Things are about to take a turn for the weird. Microsoft Zune Commercial (AKA the STD of MP3s)—JA! As we continue our way through the Microsoft countdown, let’s take a quick trip over the Atlantic to Germany, home of the The Great German Existential Minimalist Band. JA! may have dubbed this a commercial, but it’s not—it’s mostly a slam against Microsoft’s doomed Zune MP3 player. But the joke’s on you, JA! When the Zune was around, artists were actually making money off their music. You know how you feel when Outlook asks you to change your password, again, to comply with your company’s IT policy? Or your spam filter catches something that you needed to know? Or the people in sales all send out congratulations to Stacey Vickers (sorry, Stacey) for her promotion to assistant accounts manager? Yeah, just put this speed metal rant on repeat for a couple hundred times. Scram C Baby’s rough-edged rock ends too soon, just after the song starts kicking into gear. What else got handed over to Microsoft? What can be said about that? This track has potential, but it’s over almost before it starts. With enough plays, maybe we can convince them to pen a sequel. We close our musical tour of Microsoft by stopping by the living room, and the Xbox game console. J.T. Machinima’s slightly cringey love song talks about growing up as a gamer, and what life is like when the hottest girl you know is the one guiding you from checkpoint to checkpoint. I hope you’ve enjoyed your musical journey through Microsoft, and that you agree that Microsoft-themed music is better than you’d expect. Disagree? You’re free to suggest your own in comments below. And you never know: Maybe we’ll add more in the meantime. Just keep your fingers crossed, and keep refreshing the page.